Be part of the largest holiday-themed 5K race series anywhere – and join the movement to conquer arthritis! 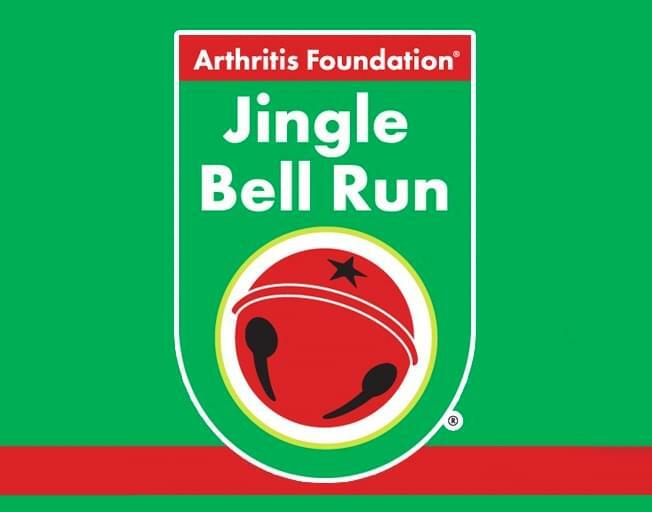 The Arthritis Foundation’s Jingle Bell Run is a fun way to get out, get moving and raise funds and awareness to cure America’s #1 cause of disability. In communities nationwide, this annual event brings together people from all walks of life to shout “Yes, we will live life to its fullest while searching for a cure!” As a Champion of Yes, kick off your holidays by helping conquer arthritis once and for all! Wear a holiday-themed costume. Tie jingle bells to your shoelaces. Show off your ugly Christmas sweater. Complete a 5-kilometer run or walk with your team members, spreading smiles, good cheer and a winning spirit … and be a Champion of Yes!